It’s been so long since I’ve heard the sound of compressors and nail guns, I nearly forgot what they sounded like. New building in subdivisions in Eugene has slowed to a crawl. Difficult financing, low demand, and a shaky economy have all but silenced the builders’ hammers. The developer of MacIntosh Manner, however, is doing some building. Apparently, on spec, too. The subdivision is located in the lower River Road area, and is visible from the Northwest Expressway, when you drive by. Their product is attractively priced at under $150/s.f., but demand is unknown. Whether this will be the tail end of the previous boom or the start of the new recovery will become apparent in time. 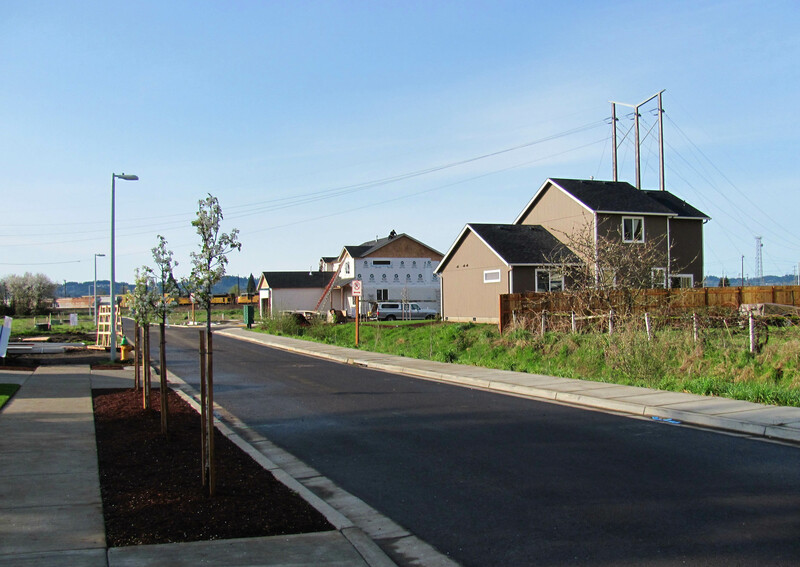 McIntosh Manner is one of Eugene's few subdivisions being built in 2010. This entry was posted in Real Estate, Uncategorized and tagged MacIntosh Manner, new homes eugene oregon, New houses eugene oregon. Bookmark the permalink.